Although many people may not realize it, choosing the perfect bouquet for the wedding day is a big deal to a lot of brides. The arrangement must go along with the style of the dress as well as the colour palette or all over theme that they have chosen. 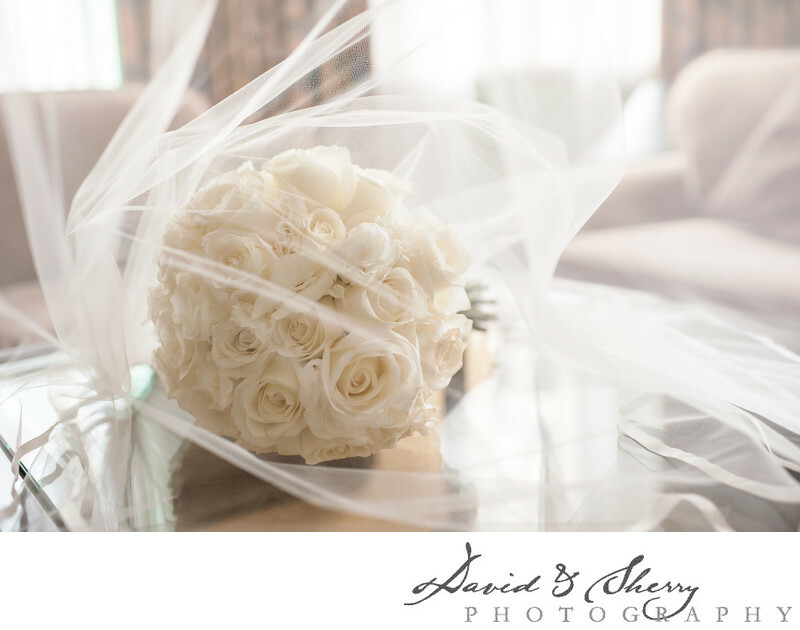 As a wedding photographer, I have seen bouquets in all shapes, sizes, colours, and styles. Out of all the details of a wedding that get shots of, the flowers are definitely one of my favourites. One of the reasons I love detail shots is being able to incorporate the venue or surroundings into the photos. I also love the challenge of creating unique shots when there isn’t very much to work with around me. This photo, for example, was taken in a relatively plain white room. The walls, floor, ceiling, and curtains were different shades of ivory and cream, and it just so happens the bouquet was within the same palette. I used this to my advantage and added the veil to give the image some texture and make it interesting. Without the sheer material making the shot more compelling, this would just be a picture of some white roses on a table. Being in situations where you are limited is one of the best ways to learn new tricks and test yourself as an artist.